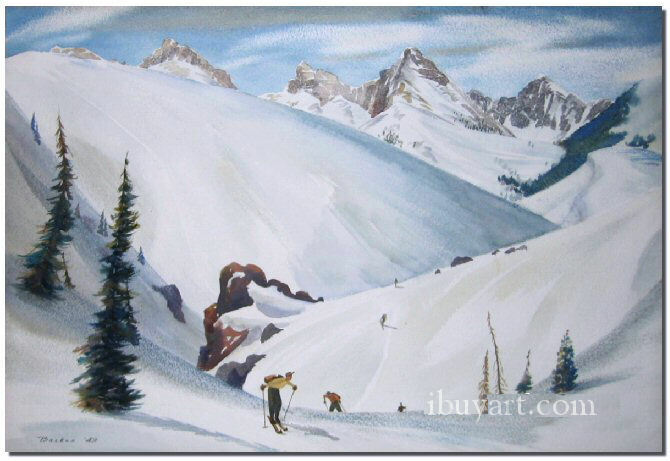 We are actively purchasing art by Standish Backus Jr. Please click here to sell your Standish Backus Jr. painting or receive a free art evaluation of your piece. Click to review some of the paintings we've recently purchased by Standish Backus Jr..
Standish Backus, Jr. grew up in Michigan and first started painting with watercolors while studying architecture at Princeton University. He continued his art education in Europe and then settled in Santa Barbara. For a brief period in the mid-1930s, Backus took further instruction in watercolor painting from Eliot O'Hara and then opened a studio and painted full time. Standish Backus Jr. served as an official war artist during World War 11 and produced watercolors depicting naval battles. 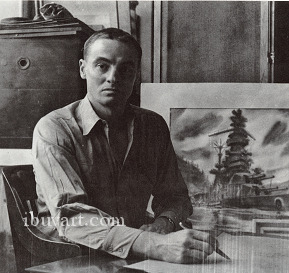 He also taught art, produced murals and served as the official naval artist for Admiral Byrd's 1955 Antarctic expedition. Standish Backus Jr. biography posted with permission of �California Watercolors 1850-1970� by Gordon T. McClelland and Jay T. Last. Copyright Hillcrest Press, Inc. 2002.